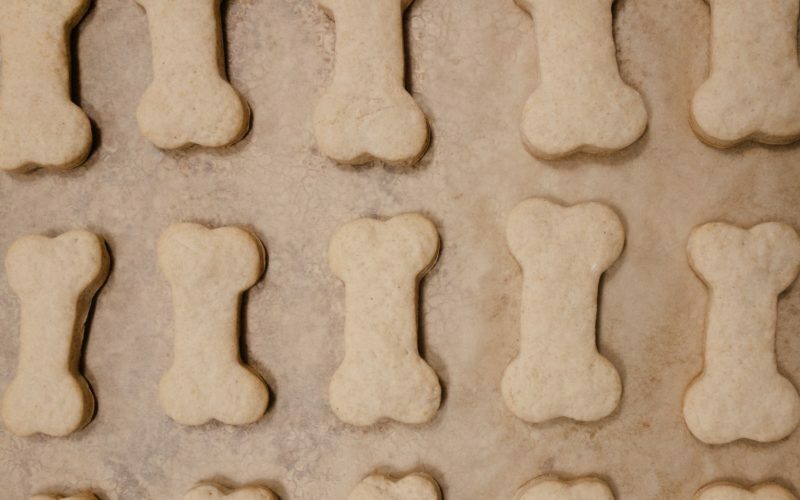 Fall in the South brings crisp night air that you can actually sit and enjoy without breaking a sweat, but don’t blink because you might miss it! 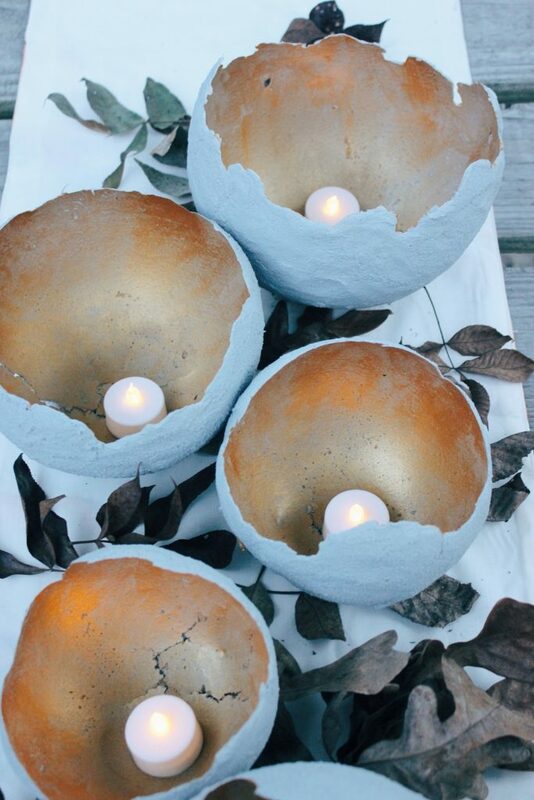 These DIY concrete candle votives are the perfect addition to any Fall décor whether it is on your porch or tablespace. Mine are currently lining my porch steps and they bring such an unexcepted twinkle to everything in the evening. Start by blowing up a latex balloon to the desired size and place it a cup or bowl to keep it steady. Next, add water to your cement mix until it is the texture of thick mud. 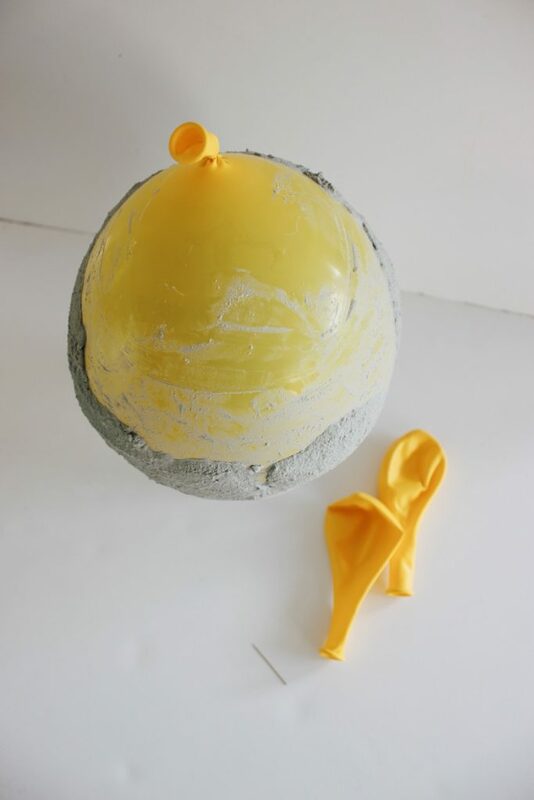 You do not want it to be runny because you will not be able to mold around the balloon. 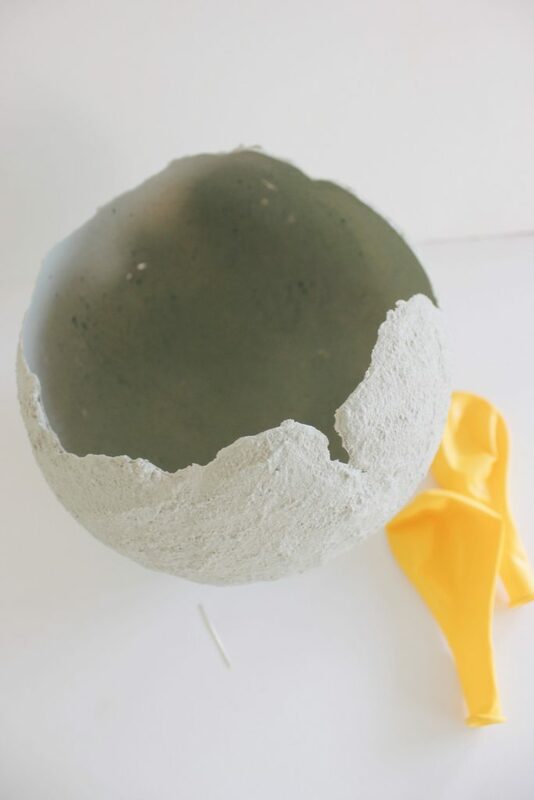 Begin to apply a centimeter-thick layer of the cement all over your balloon. You can cover the entire balloon if you like, there is no specific limit, you just want to be sure and leave a gap wide enough to where you can paint the inside. Once you have your balloon covered to your liking, let the cement dry overnight. 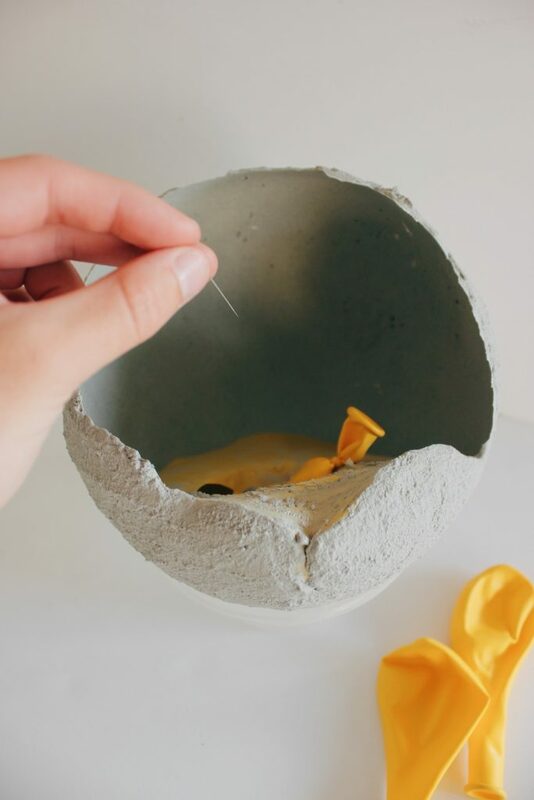 When completely dry, remove the balloon from the cup or bowl, pop the balloon and remove the latex remains. 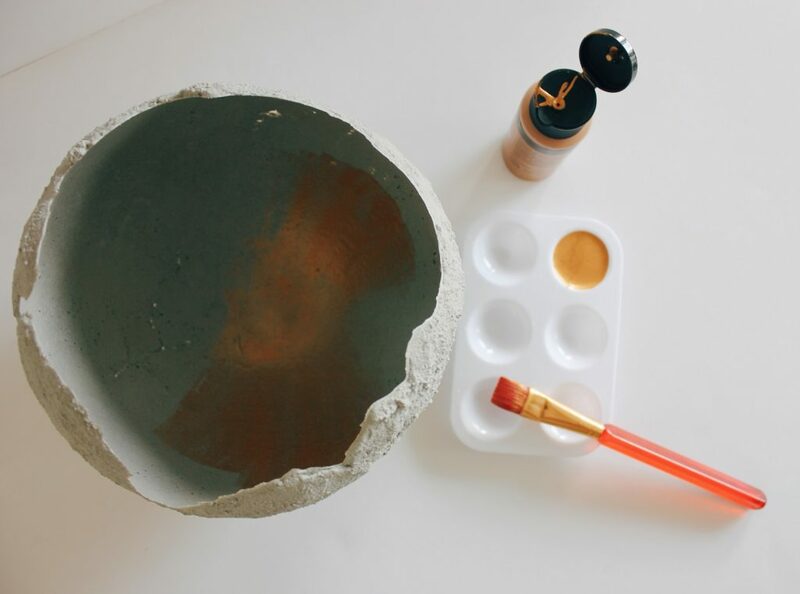 Then paint the inside of your new concrete candle votive with a metallic paint and let dry. This allows the candlelight to give a reflecting look while burning. 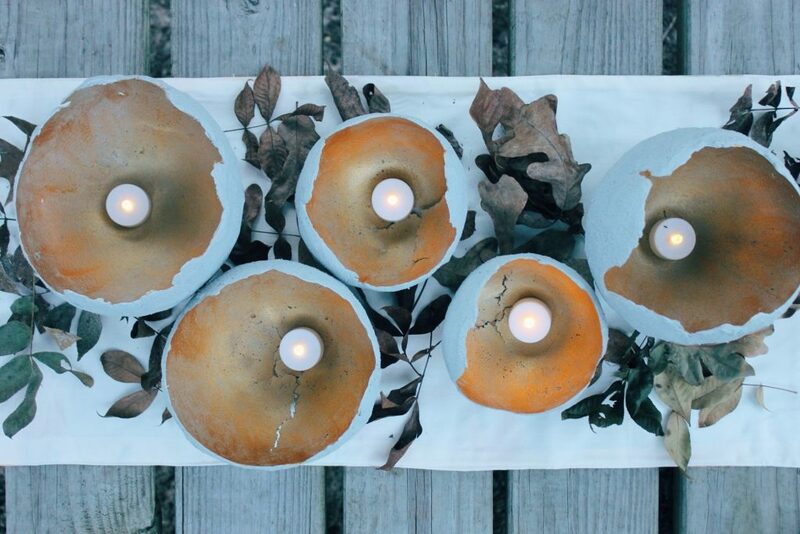 The last thing to do is place a small candle into your new concrete votives and enjoy them! They give such a dramatic and unexpected twist on regular candlelight. 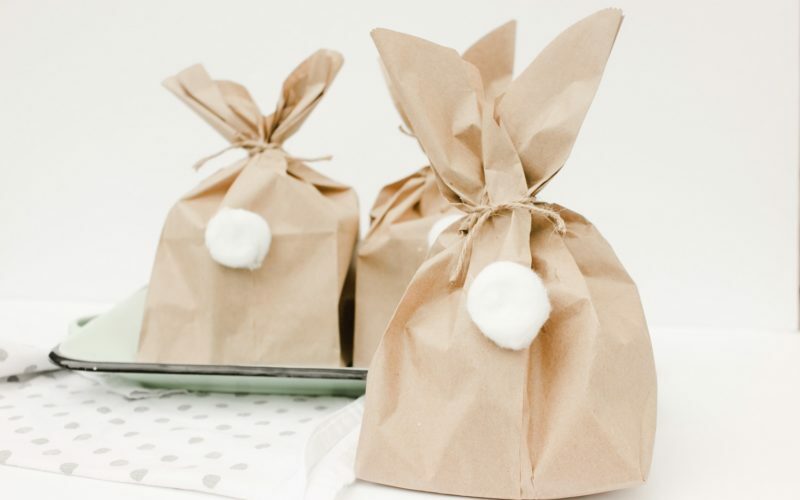 We hope you give this DIY a try and share your creation with us!